Hailing from southeast Melbourne, the young songstress has been singing for as long as she can remember. Born in Papua New Guinea, Kaiit bounced back and forth between Australia and her homeland as a child before her family eventually settled down in Melbourne. She grew up listening to alternative music, with her parents embracing the likes of Pink Floyd. Kaiit is blessed with an enchanting voice that crosses musical boundaries. Her love for jazz and neo-soul is evident in her music, drawing upon inspiration from her idols Amy Winehouse, Lauryn Hill and the contemporary sounds of Noname Gypsy and SZA. Kaiit’s artistic background in both beauty and fashion is apparent in her inimitable style and edgy aesthetic. 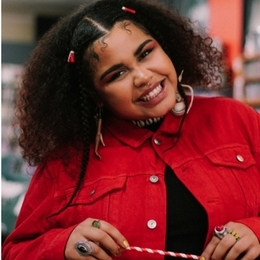 Her pursuit into music is recent, becoming involved in the Arts Centre Melbourne’s flagship hip-hop and urban music mentoring program Dig Deep where she met mentor Momo from Diafrix and began to learn more about the industry.